…don’t miss the Josef Albers exhibition “Interaction” at the Villa Hügel, running until 7 October 2018. 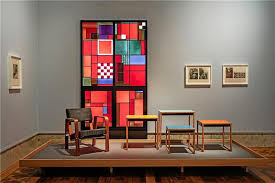 One could hardly imagine a more dramatic contrast than the abstract, geometrical work of Josef Albers (1888–1976) and the backdrop of his first retrospective in thirty years, the neoclassical Villa Hügel. 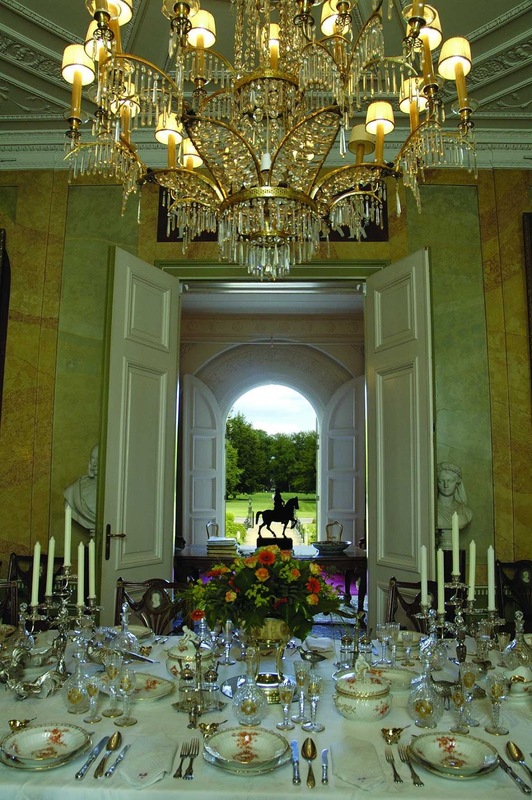 The villa, home of the Krupp family from 1873 until long after WWII, is today owned by the Foundation Alfried Krupp von Bohlen und Halbach and is open to the public. Commissioned by Alfred Krupp (1812–1887) and—despite the ongoing Franco-Prussian war—finished in 1873, the villa was one of the largest private houses in the world. Overlooking the artificial lake Baldeney, the house is the center of a meticulously maintained landscape park of 28 hectares. The estate's scale and picturesque beauty rival the grandest English country houses, and it even boasts its own railway station. Alfred Krupp, one of the richest men in Germany, was a perfectionist; he believed in technology and wanted his house to showcase state-of-the-art construction features, including double-pane windows, hot and cold running water and a sophisticated air conditioning system which—to his chagrin—never functioned properly during his lifetime. 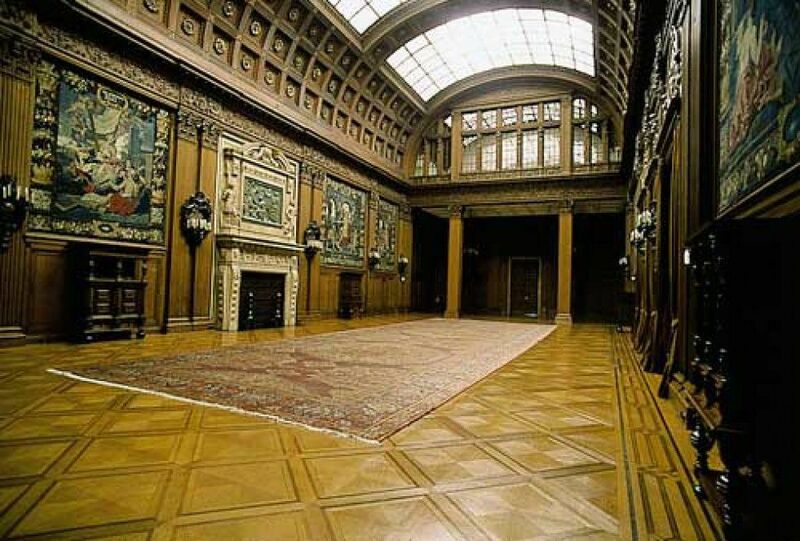 Among the main building's almost 270 rooms are two great reception halls, each measuring 4300 sq. ft., a challenge even for today’s heating technologies. The original villa was as austere as Alfred Krupp, who in 1865 refused to be ennobled by the king of Prussia, saying that being a Krupp was sufficient. Later generations of Krupps would turn, among others, to Ernst von Ihne, one of the most accomplished German architects active before the Great War, to render the house more livable. 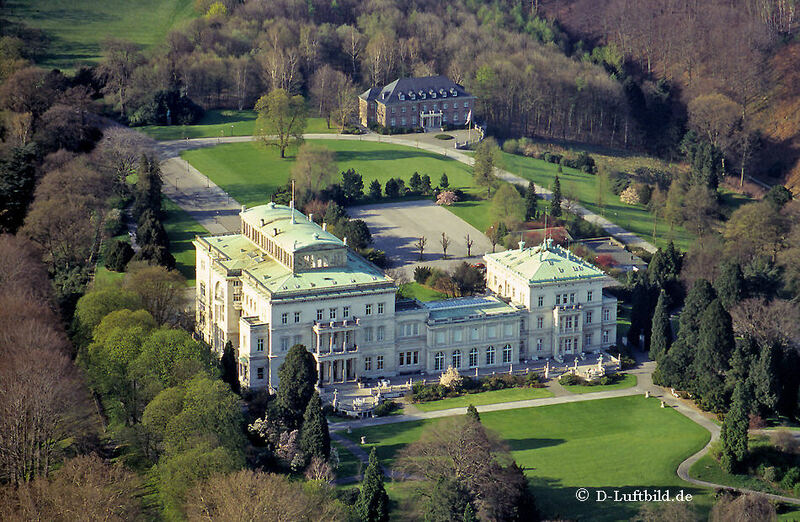 During the Kaiserreich, Villa Hügel was the backdrop of grand scandals and even grander receptions. In 1902 Friedrich Krupp, Alfred Krupp’s son, committed suicide after having been accused of homosexuality. After inheriting the company, he had shifted the firm’s activity to arms manufacture, further enlarging the family's vast fortune and creating intimate links between the company and the government. Upon his death his daughter took over the reign and received Wilhelm II various times. 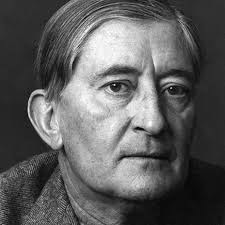 That Villa Hügel serves as the scenic and impressive backdrop for a retrospective of Josef Albers' work is a wonderful occasion to reacquaint oneself with one of the twentieth century’s most important artists. From 1923 to 1933 Albers taught at the Bauhaus and was among the first artists to leave Hitler's Germany in 1933. In the United States he first taught at Black Mountain College and in 1950 became director of the Design Department at Yale. 170 items are on exhibit, from paintings to works on glass, photos, drawings and furniture designs. 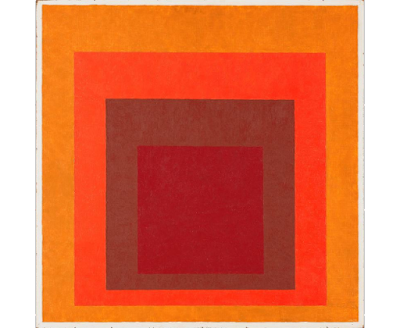 The most important part of the exhibition is of course the encounter with Albers’ lifelong obsession, the square (a thoroughly Teutonic preoccupation, truth be told). He painted almost 2000 canvases of stunningly lyrical precision, constantly re-evaluating the impact and meaning of color's optical effects, making him an important precursor of kinetic, op and American Pop Art. His paintings—austere yet rich, minimalist yet seductively decorative—stand in marked contrast to the villa, yet each represented and distilled modernity and the avant-garde of their respective times. A wonderful dialogue! …don’t hesitate to leave. A day trip to nearby Vicenza could be the perfect antidote to the languid, effervescent beauty of la Serenissima and the swirling flocks of tourists and pigeons milling about St Mark's Square. 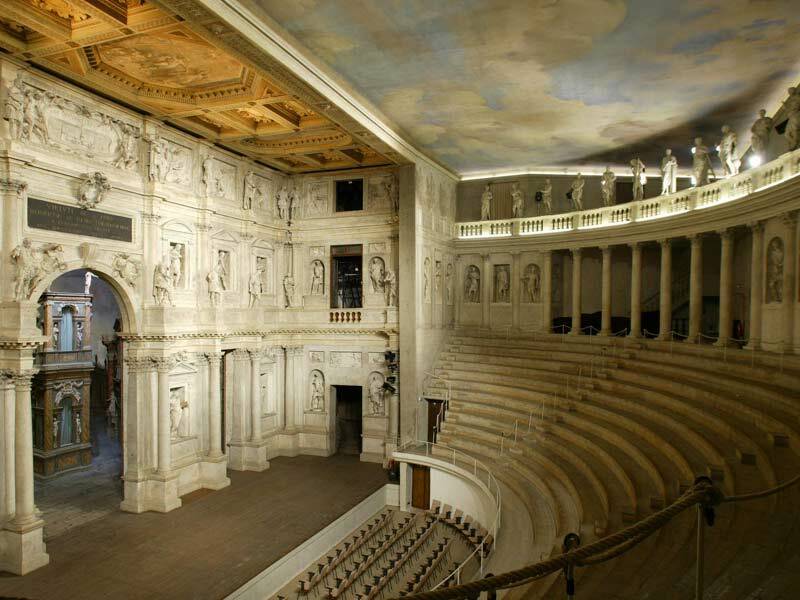 After all, tiny Vicenza’s austere classical architecture offers a refreshing relief from Venice's relentless picturesqueness and effortlessly re-calibrates one's visual standards with a healthy dose of Palladian monumentality. 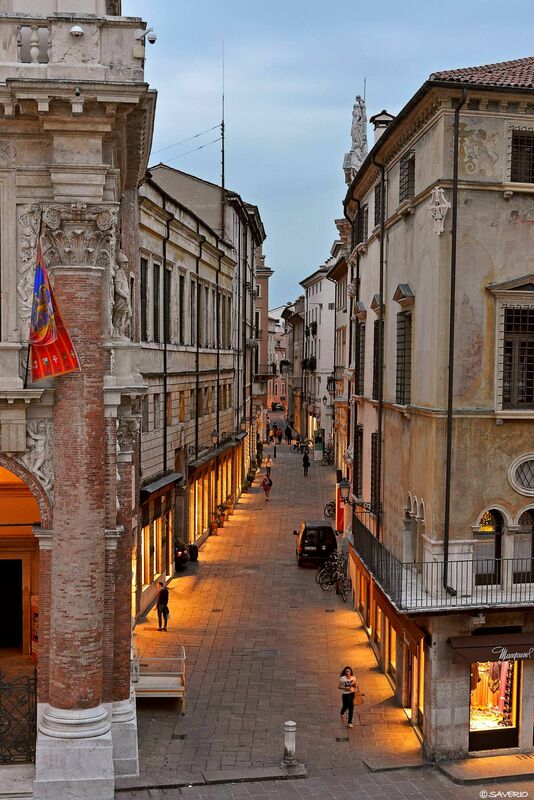 Grandiose facades line Vicenza's empty, echoing streets, heralds of the heroic moment that was the Renaissance, when beauty was a cherished ideal based on classical mathematics and Humanist proportions which found their meaning in the exaltation of ideal man. The concerns of today’s architecture—rigidly ideological, relentlessly conceptual and highly arbitrary in its worship of individuality—would have elicited astonishment in the age of Palladio. Beauty was not an idiosyncrasy found in the eye of the beholder but rather was a concrete, non-negotiable principle. For such a small city, Vicenza is brimming with palazzi whose introspective grandeur defies both style and fashion; their nobility and aloofness both demands our respect and commands our attention. 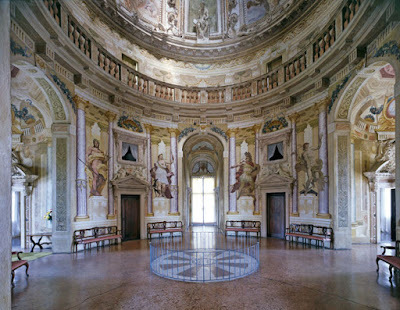 Of course the city’s most famous structure, the Villa Rotonda (also called the Villa Valmarana after its current owners), is neither a palazzo nor does it sit in the old town. Instead, the Rotonda overlooks Vicenza from a distant hilltop, commanding picture-perfect views across the city. 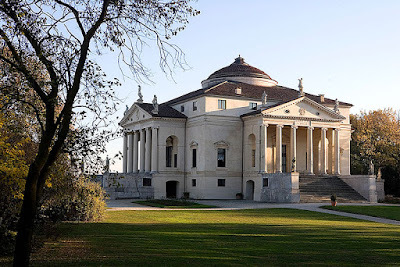 Built between 1566 and 1571 for the apostolic prelate Paolo Almeri, the villa is Andrea Palladio’s masterpiece, perfection in stone, and it would announce and even define modernity for centuries to come. A cold star immovably fixed in the firmament of architectural history, the Villa Rotonda has instructed, inspired and challenged architects for nearly half a millennium. Like Mies van der Rohe's Barcelona Pavilion, it has become an icon and an unrivaled example of what erudition, talent, taste and money can, with the rare spark of genius, achieve. Overshadowed by the blinding fame of the Villa Rotonda, another of Palladio's masterpieces leads a more quiet existence in the old town of Vicenza. Near to the Palazzo Chiericati and hidden behind the thick walls of medieval fortifications, the Teatro Olimpico is a breathtaking discovery. Commissioned for the town in 1580 by the Olympic academy, a body of the leading citizens (Palladio was a founding member), the teatro was the first indoor theater to be erected since Roman times and consequently is also the oldest extant modern theater in the world. 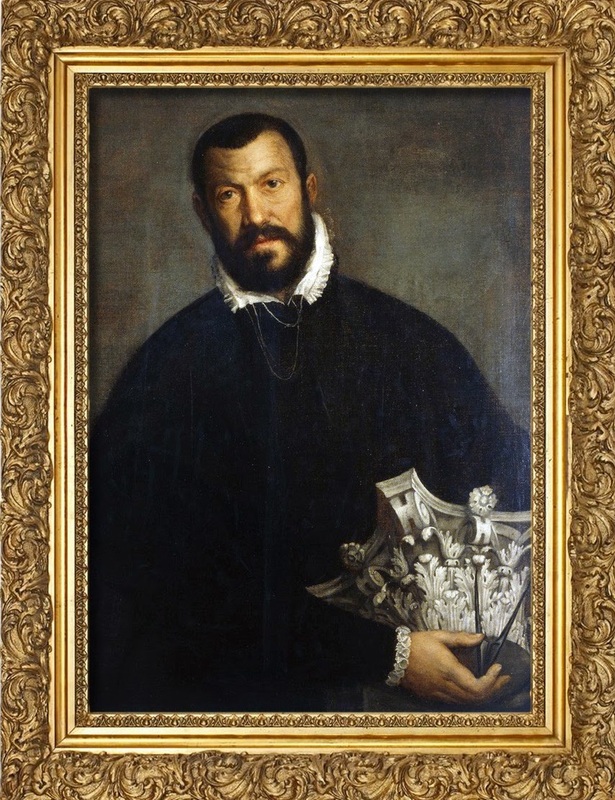 It was inaugurated to great acclaim on the 3rd March 1585 with a performance of Sophocles' Oedipus Rex. 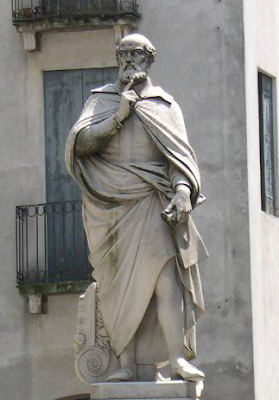 Palladio died the year construction began and so if fell upon his protege, Vincenzo Scamozzi, to oversee the theater's construction. In a brilliant gesture, Palladio turned the awkwardly shaped lot of the old fortress into the structure's greatest asset. 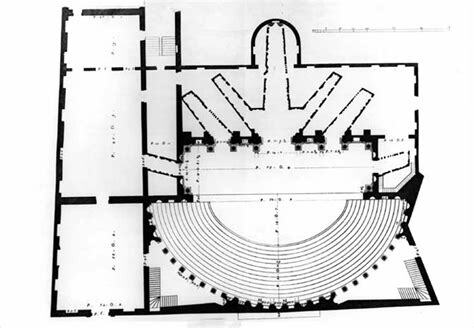 Inspired by the hemispherical plan of Antique theaters, he planned the seating about an elegant half-oval facing the stage. The rings of seats rise just like in any open-air amphitheater, while the stage is defined by a triumphant architectural screen recalling the grandeur of ancient Rome. 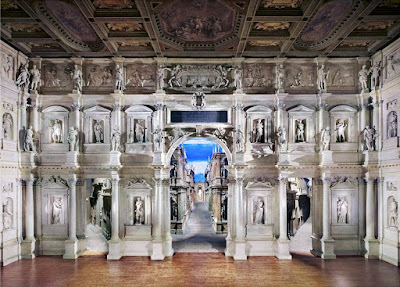 The elaborate, sophisticated stage wall, enriched with numerous sculptures and busts and made of wood painted in trompe l'oeil to resemble stucco and marble, was only finished after Palladio’s death and so must be considered Scamozzi’s masterpiece. To him we also must attribute the three forced-perspective archways piercing the stage wall, an optical trick which gives the shallow stage depth and drama and overcomes the constraints of the actual space. In reference to Antiquity, the ceiling was painted to imitate open sky, inspiring countless thousands of cloud- and putti-bedecked imitators. Though overshadowed by its famous English contemporary, the Globe, the teatro is the true progenitor of all modern theaters and so it is that court theaters across Europe, from Gripsholm to the Hermitage, derive from this unique creation. 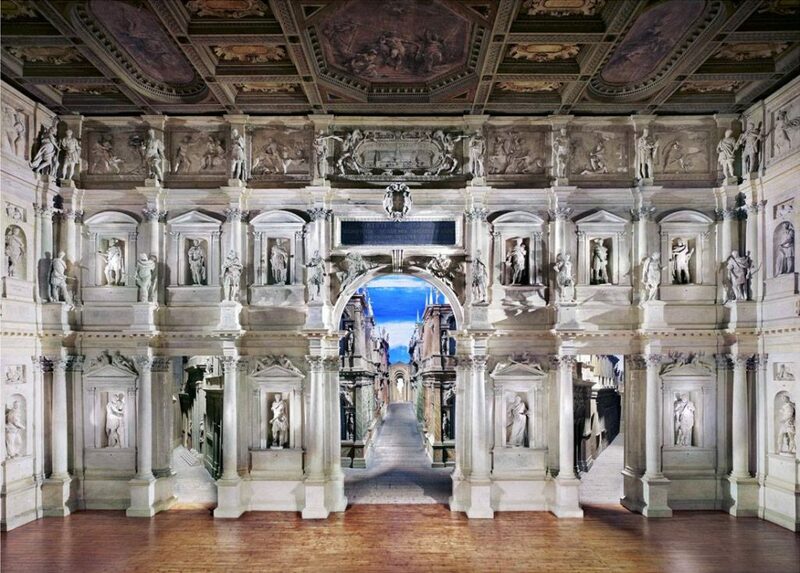 However, this apogee of architectural and decorative accomplishment so seemingly effortlessly displayed in Vicenza would never be reached again. There the illusion is perfect, art and artifice prevail over reality and nothing is more magical than to attend a performance of Monteverdi’s The Coronation of Poppaea in such a perfect setting. 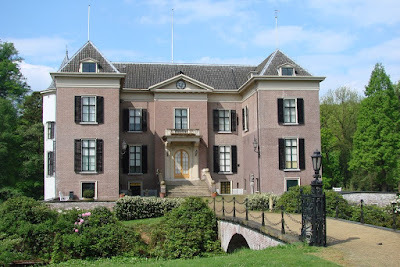 … be sure not to miss Huis Doorn (in the town of Utrechtse Heuvelrug), a beautifully sited moated castle first mentioned in1289, though the actual building dates to the eighteenth century. Placid waters, green lawns and venerable shade trees constitute the estate's handsome English-style park, the perfect backdrop for the quaint yet picturesque residence. 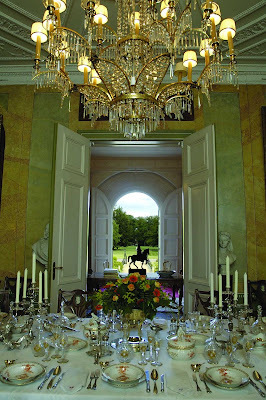 Huis Doorn was rescued from certain obscurity when Wilhelm II, German Emperor and King of Prussia, chose this small castle, in truth more a manor than a royal dwelling, as his residence-in-exile after Germany’s defeat in 1918. The kaiser was staying at his headquarters in the eponymous Belgian town of Spa when revolution broke out in Kiel and Berlin. With vivid recollections of the fate of his cousin the czar, Wilhelm II deemed it wise to solicit an invitation from Count Godard van Aldenburg-Bentinck to lodge at his château of Amerongen in the neutral Netherlands. 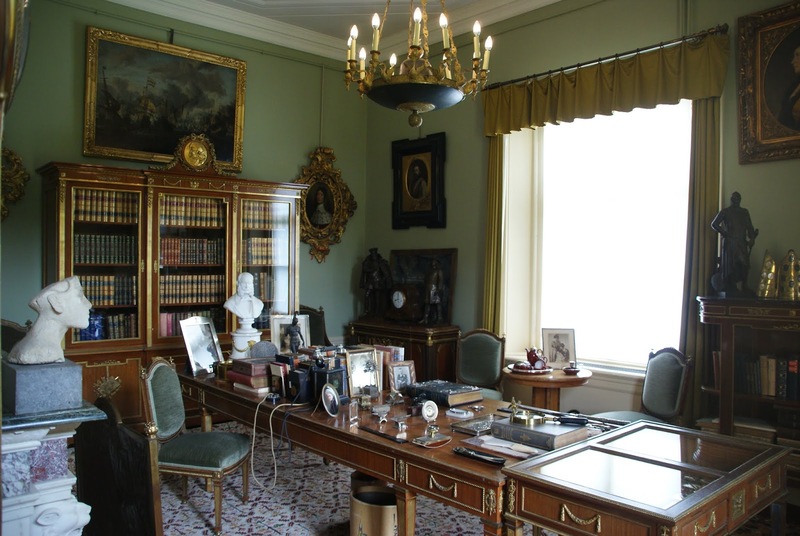 After some eighteen uneventful months at Amerongen and not desiring to overstay his welcome, the emperor resigned himself to the task of finding a new, permanent home. Huis Doorn was purchased from Baroness Heemstra de Beaufort to serve as Wilhelm II's Saint-Helena and renovations began in 1920. His wife, Empress Auguste Victoria, still feeling insecure and slightly awkward about the unfortunate abdication business, for which nobody wanted to be blamed, was relieved to occupy herself with furnishing the new imperial and royal household. 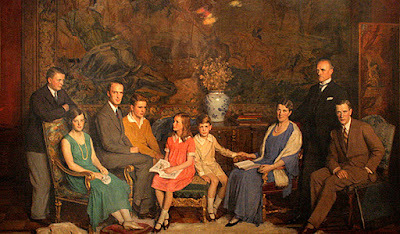 Naturally, nothing could diminish the couple's chagrin at the loss of 65 castles and palaces scattered about Germany, but the former imperial staff in Berlin cleverly selected and carefully packed 59 freight cars worth of paintings, furniture, objets d'art, tapestries, carpets and personal belongings to help ease their adjustment to newly reduced circumstances. 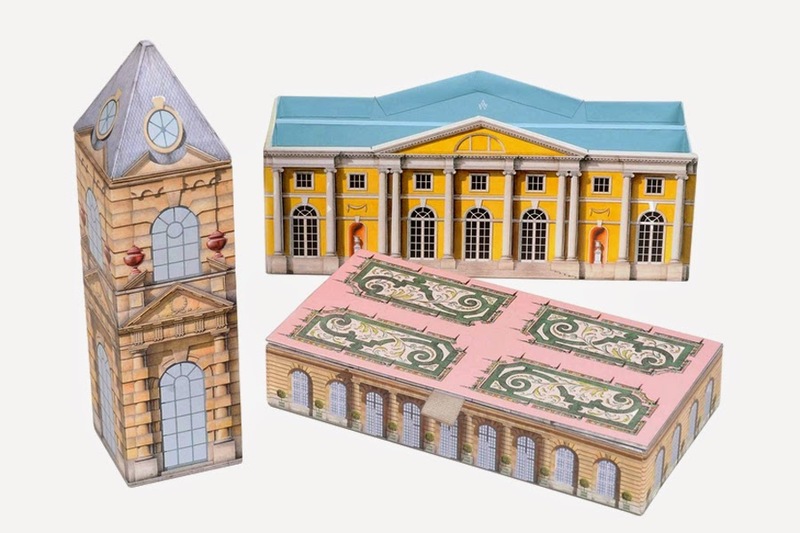 These highlights of the imperial apparat allowed Auguste Victoria to create a faint but comforting simulacrum of the exceedingly opulent Prussian palaces they had once called home but were forced to flee. In time the little court-in-exile—headed by Wilhelm II, who halfheartedly assumed the rôle of gentleman farmer—fell into a placid routine far removed from any official demands or obligations, a fact rather minded by the emperor and his wife, who were—not unlike the Stuart pretenders ensconced at St-Germain by an obliging Louis XIV—convinced that soon enough, with patience, their countries would see reason and their exile would be recognized as folly and life would return to its normal and natural order. 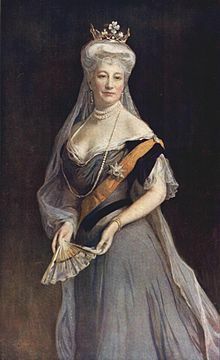 Alas, the royalist press reported, the lingering new order—although temporary—nonetheless broke and finally stilled the empress’ heart (her son Joachim's suicide did nothing to make things better) and her funeral in Potsdam in 1921 was a sombre, belated monarchist triumph. 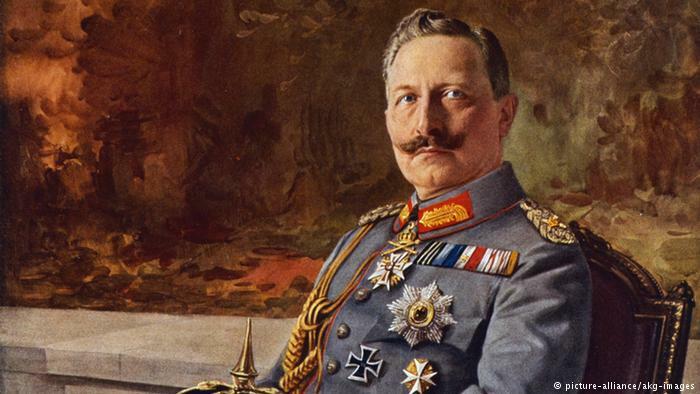 Devastated, Wilhelm II was obliged to remain at Huis Doorn; he had neither received permission to return to Germany nor was he interested in trodding on republican soil. The spectacular, theatrical outpouring of public grief rekindled the emperor’s hopes of also returning home—but triumphant and alive, of course. This hope too dissipated over time and the tiny court was forced to concede that an immediate restoration was not in the offing and that it would be best to make do with life at Huis Doorn for the time being. Considering Germany's hyper-inflation and the poverty and desperation left in the wake of crushing defeat, court life in Huis Doorn appeared relatively pleasant in comparison, if at times claustrophobic. To enliven the daily routine, a new marriage for the widowed emperor was concocted behind the scenes, and like a deus ex machina, young princess Hermine von Schönaich-Carolath appeared one day at the door. 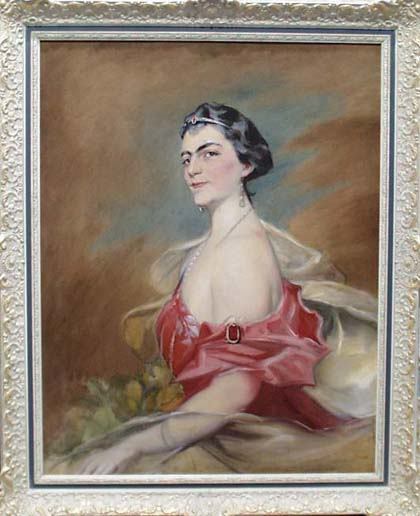 Daughter of Heinrich XXII Reuss, she was issue of a former reigning family and thus held the perfect pedigree for the match, having grown up in a tiny though independent princely state, the court of Greiz. Decidedly not beautiful, she nonetheless had interesting features, retainers remarked hopefully. Her youth, her determination, her slightly unconventional manners (notably her shockingly avant-garde views on women’s rights), as well as her erudition brought a spark of life and wit to the aging court upon their marriage in 1922. Like the emperor, Hermine was a stickler for etiquette and reveled in court protocol, insisting on being addressed as empress—a presumption that scandalized German monarchists, who believed it dishonored the emperor’s first wife. Clever as she was, Hermine had insisted on a prenuptial agreement assuring her the right to regularly visit her vast properties in Silesia, where she ran her affairs with great knowledge and business acumen. Initially considered a marriage of convenience, the relationship grew to become a great success and for almost twenty years Huis Doorn was a contented home for the last kaiser and his second wife. 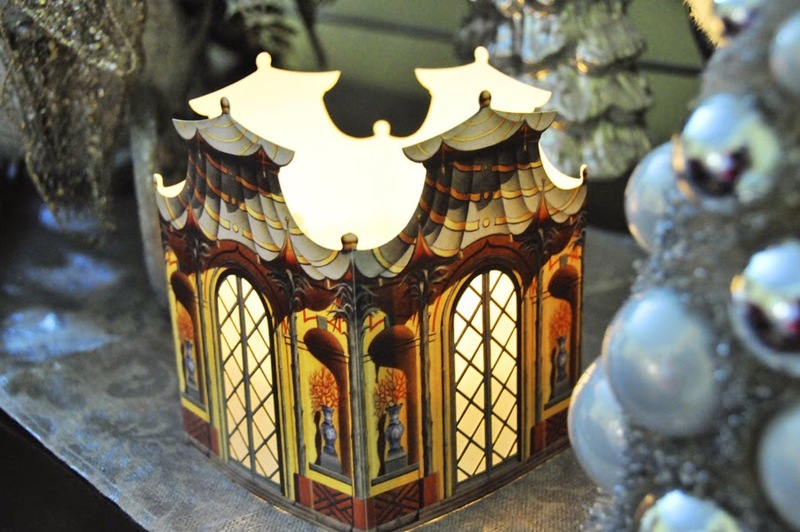 Though furnished in the early 1920s, the residence is still redolent of the decorative sensibilities of the Victorian age, most notably its horror vaccui. Wilhelm II was Queen Victoria’s favorite grandson; she died in his arms in London in 1901 and much of his taste was influenced by his many youthful visits to England. 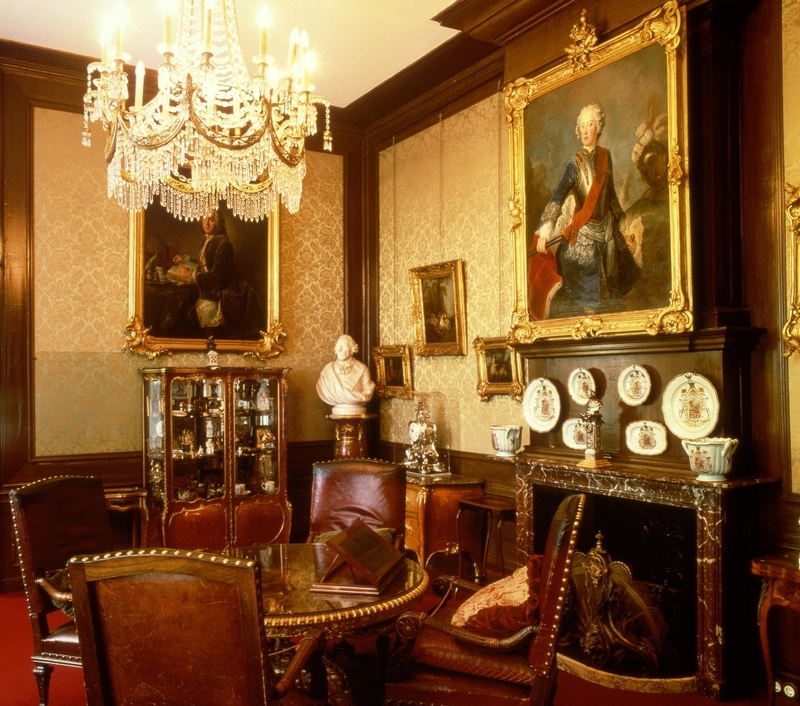 The halls, salons and smaller rooms of Huis Doorn are crammed with Prussian heirlooms, heralds of former glory; every wall is covered and desks bow under the weight of picture frames, and despite an undeniable grandeur, the interiors have an almost bourgeois coziness about them reminiscent of certain English country houses. The spirit of its former inhabitants still seems to reign over this small and strangely enchanted and enchanting kingdom. 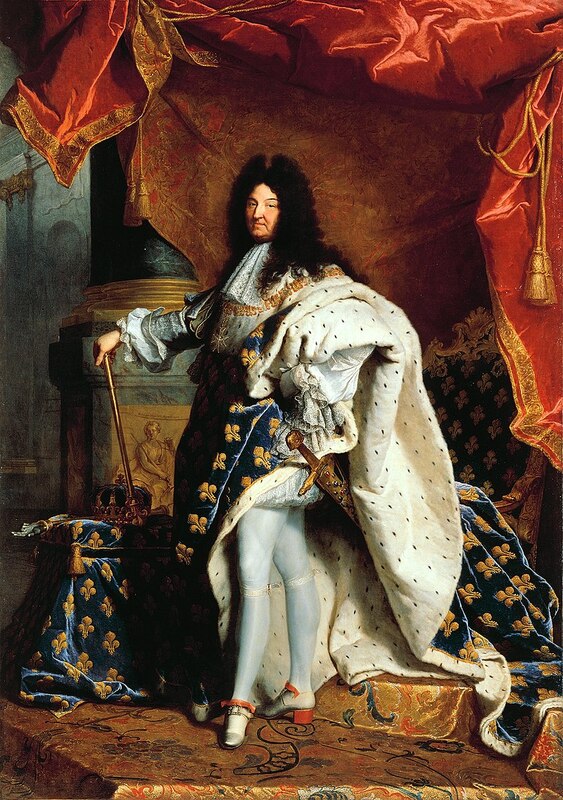 Three hundred years ago and a day, Louis XIV died but five days before his 77th birthday. He had reigned for 72 years and 110 days, the longest of any monarch since the Egyptian pharaoh Ramesses the Second, who died aged ninety in 1213 BC. Like Ramesses, Louis was named "the Great," and not to be outdone, Voltaire named a century after him, "le siècle de Louis le Grand," the century of Louis the Great. The Durants, Will and Ariel, those Eisenhower-era icons of hardcover, multi-volume world history, did Voltaire one better and named an age after him, "the Age of Louis XIV." He was also christened Louis-Dieudonné (Louis, Miracle of God) for the very real wonder of being the issue of Louis XIII, sickly and enfeebled, who died when Louis was a small child. Fatherless, he was formed by the wily Italian cleric Cardinal Mazarin, Louis XIII's first minister, reputed lover of his mother, Anne of Austria, and regent and mentor to the young monarch. He was also named le Roi Soleil, the Sun King, for his unprecedented patronage of the arts and his willful conflation of his own person with the sun god Apollo. He defined absolutism, raised the vast palace at Versailles and many others besides, stumbled by revoking the Edict of Nantes, waged a succession of half-remembered Continental wars that earned him few friends but a good deal of territory and prestige, and perfected both state bureaucracy and state propaganda and in so doing became the radiant figurehead for the state and the kingdom of France and so in turn became the model for and envy of all other rulers of Europe and more profoundly the prototype of the ruler in the modern age. His taste in all things was slavishly copied, as were his pretensions. He also bankrupted France with his endless wars and inveterate building and so ultimately set the stage for the French Revolution. He notably loved women, flattery, ballet, hunting, building, military sieges, his own reputation, children, flowers, France and God, though he came late to the last of that randomly ordered list. Mazarin formed his political mind and fundamentally he was more clever than smart; he was also one of the most civilized personages ever to live, which gives a perhaps-misplaced sheen of great intelligence through perfected manners. He knew how to delegate and was a fair though not exceptional judge of character and ability, and he kept a vast number of secrets and never committed to anything when directly asked, always replying, "On verra." One will see. Having outlived most of his own family and all but one of his direct heirs, he died a horrible death of gangrene that began in one leg and gradually consumed him over a period of weeks. He also died as he had lived, without complaint, with exceptional good humor and exquisite consideration for those about him and with great dignity. When the future Louis XV was brought to him on his deathbed, he advised the child, "Do not follow the bad example which I have set you; I have often gone to war too lightly and sustained it for vanity. Do not imitate me in this, but be a peaceful prince, and strive for the betterment of your people." 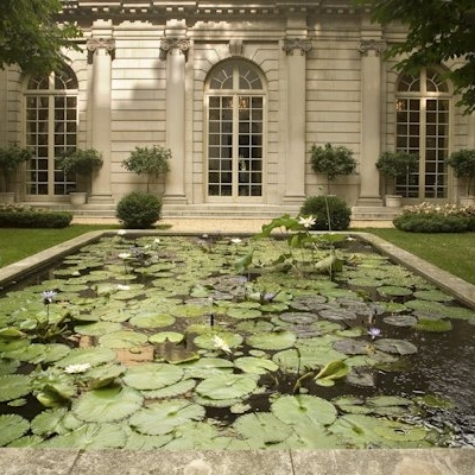 Wonderful news for all who love the unique ambiance of The Frick Collection and its delightful Russell Page garden: The museum has announced today that it is abandoning its ambitious expansion plans, designed by Davis Brody Bond. The additions would have subsumed Page's elegant garden beneath a massive, six-story-plus addition (seen to the right of the entry in the above rendering) that also would have overwhelmed the original two-story, Louis XVI-style Frick residence, the heart of the museum, and left it a mere appendage. The press release states that the Frick will regroup and develop a new expansion plan, and that the second-floor—once family rooms but today executive offices—will be converted to exhibition space. Having visited and dined in these rooms several times, we can attest that they will make excellent additions to the museum's exhibition space, though the executive staff will lose a magnificent perk and be forced from the old Frick residence. The Frick remains committed to furthering its mission by attaining its goals, among them having additional space for the display of works of art, including galleries on the historic second floor of the mansion, dedicated classrooms for education programs, updated facilities for the care of our art and research collections, and better public access between the museum and the Frick Art Reference Library. We also plan to improve visitor amenities in general while offering equal access for visitors with disabilities. At the same time, preserving the unique residential character and intimate scale of the Frick will remain our top priority. Well, no one can argue with that—at least until we see the new plans. 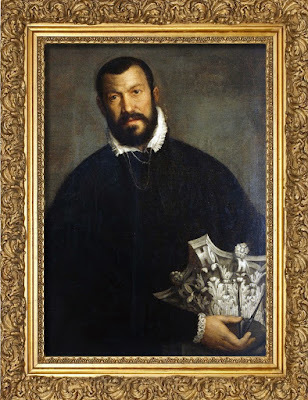 Part of the solution should be to rein in ambitions and ponder how best to enhance the Frick while ensuring that it remains what it is—the best small museum in the world, with an accent on small. Does the Frick truly need to expand both its mandate and its facilities to so great an extent as first proposed? Or will expansion destroy this unique house museum? After all, the Frick is a house, albeit a grand one, and to ensure success in this venture, those guiding it must not lose sight of that fundamental, defining fact. Logic and moderation counsel that the Frick should maximize its existing assets, purchase or lease administration space adjacent to the property and seek creative and judicious rationalization of the built fabric it already has. In the meantime, we can all rejoice that Page's oasis of verdant civilization has been spared from New York's relentless redevelopment mania. The Frick is unique and should be thoughtfully preserved; after all, what other building in New York can boast its own front yard bordering Fifth Avenue and Central Park? The winning designs of the 2015 Chelsea Flower Show have been announced, and Dan Pearson's preternaturally natural recreation of a slice of woodland at Chatsworth (above, from the UK's Telegraph) has won Best in Show. Another microplot of meticulously contrived virtual reality, James Bassen's Perfumer's Garden in Grasse (below), was awarded a gold medal. Both gardens are stunning recreations, kudos to both design teams for jaw-droppingly flawless execution, especially Bassen, whose garden is particularly lyrical. But the thought occurs, Should one really call them gardens? They seem more like extraordinary clones, the Dolly the sheep of garden design. They also remind one of the current hyper-realist waxwork fixation in contemporary art, exemplified by artists such as the Japanese photographer Hiroshi Sugimoto, who fashions remarkably lifelike wax effigies of historical figures and then photographs them in "portraits" (below, HRH Princess Diana, in wax). One frankly designed garden, an elegant chessboard based on de Stijl geometries by Marcus Burnett, may not have been particularly innovative but it was so expertly balanced and flawlessly executed that it also won a gold medal. 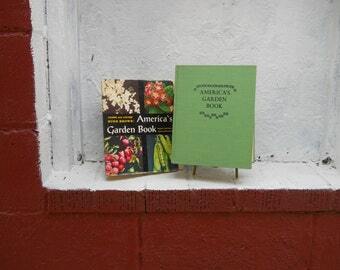 Unsurprisingly, with our current hipster-driven fixation upon elevating nostalgia for days of future past into a cultural obsession, a number of winning designs seem to have come straight from the well-thumbed pages of that postwar horticultural bible, America's Garden Book, specifically the chapter on contemporary garden design from the iconic 1958 edition. Bush-Brown's Eisenhower-era masterpiece encapsulated the heady design moment when America discovered pebble-encrusted concrete pavers, the Southwest, and redwood plank. Below, gold-medal winning gardens by Harry and David Rich, Adam Frost, and Chris Beardshaw. For complete coverage, we'd highly recommend a visit to the website of the UK's Telegraph, which has devoted an entire section to the Chelsea Flower Show. In the better-late-than-never department, we would be remiss if we didn't note the March issue of World of Interiors, which featured Aglae Auersperg's watercolors of her family's Chinese pavilion in the gardens at Vlašim, a Bohemian estate in the modern-day Czech Republic. The pavilion (above) has been impeccably restored and the watercolors are atmospheric and charming, and the issue was, as usual, intriguing, informative and visually stunning. 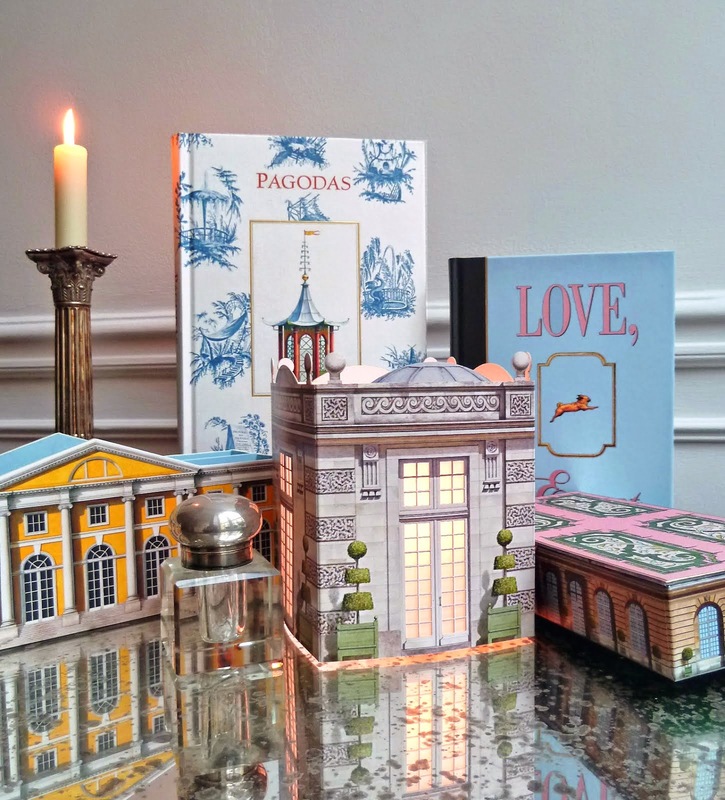 The issue's Inspiration page featured our boxed Tea House silhouette notecards and one of our folding cards reproducing our watercolor of the Pagoda at Rheinsberg, which once stood an extensive eighteenth-century folly garden created by Prince Heinrich of Prussia, brother of Frederick the Great. 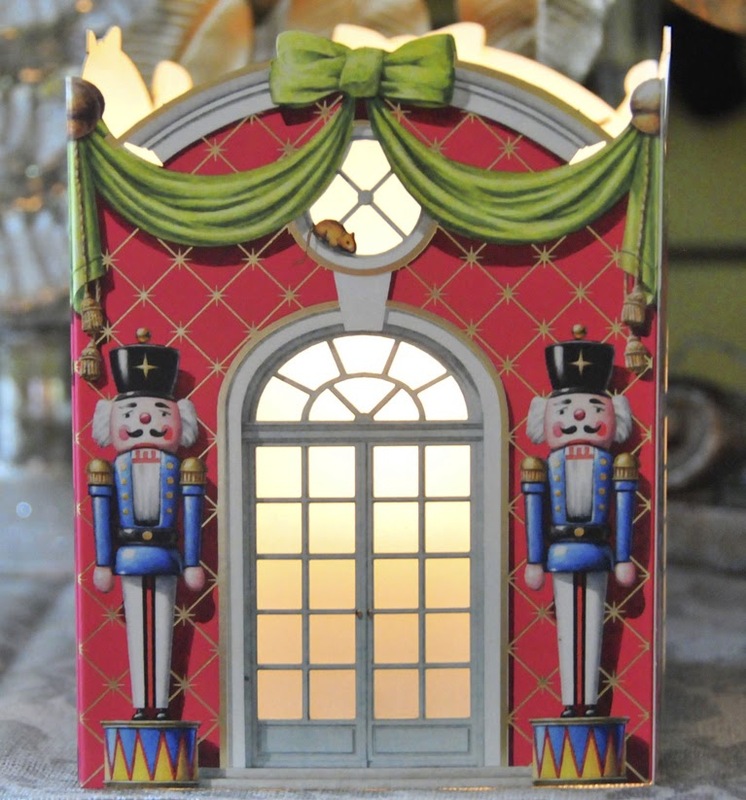 We rarely receive such delightful and unexpected messages as that which came to us on Christmas Eve from a customer in Fairfax, Virginia, who shared with us her photos of our Tea House (above) and Nutcracker Pavilion table lanterns in her home. They are so evocative that we requested to share them here, and she graciously accepted. Happy holidays and all the very best for the new year! We would be remiss if we did not mention our recent lecture at the ICAA, the Institute of Classical Architecture and Art in New York, entitled Pencil and Brush: Architectural Watercolors, held on the evening of the 23rd October. It was an illustrated lecture on the history of French classicism from the 17th to the 19th centuries, and we were delighted to see many familiar faces and speak to a sold-out house. 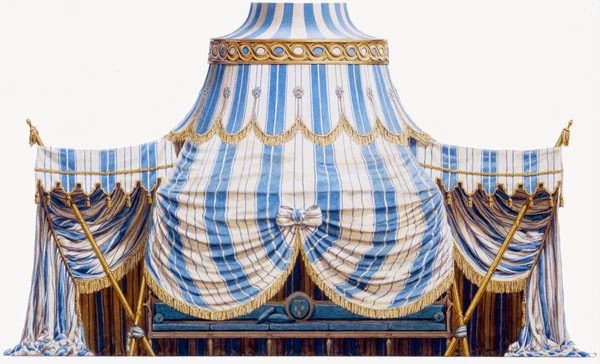 As the body of the lecture was illustrated with images of rather staid classical buildings, we ended the talk on a lighter note with the image of this tent (at top) once in the gardens of the Parc Monceau here in Paris, and an audible gasp actually went through the audience. 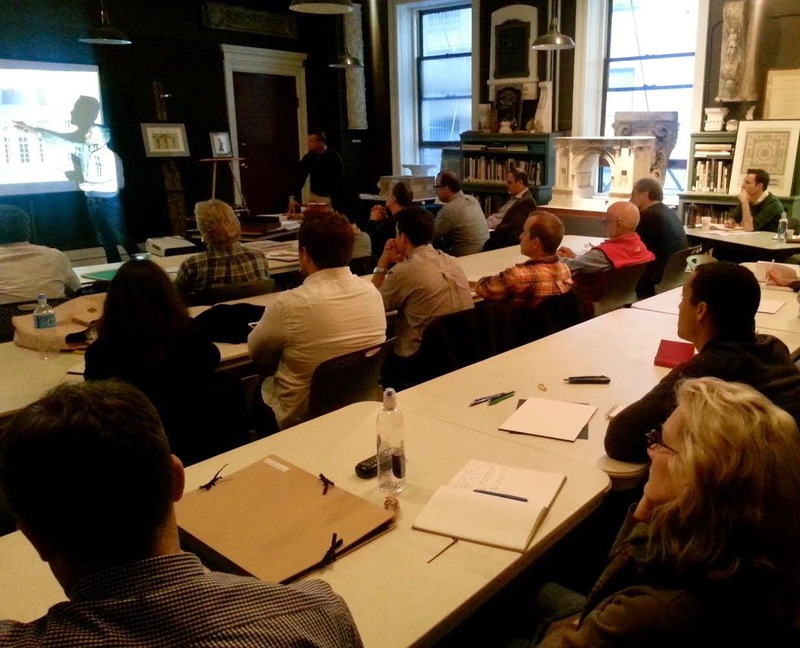 The Saturday following, we held a master class on watercolor technique for architectural rendering, sharing our trade secrets to an over-subscribed audience. It was a day-long affair, from 10 am to 6 pm, with an hour's pause for lunch. We enjoyed giving both presentations immensely and the organizers were very pleased with the response, and we look forward to a new series of talks next year. 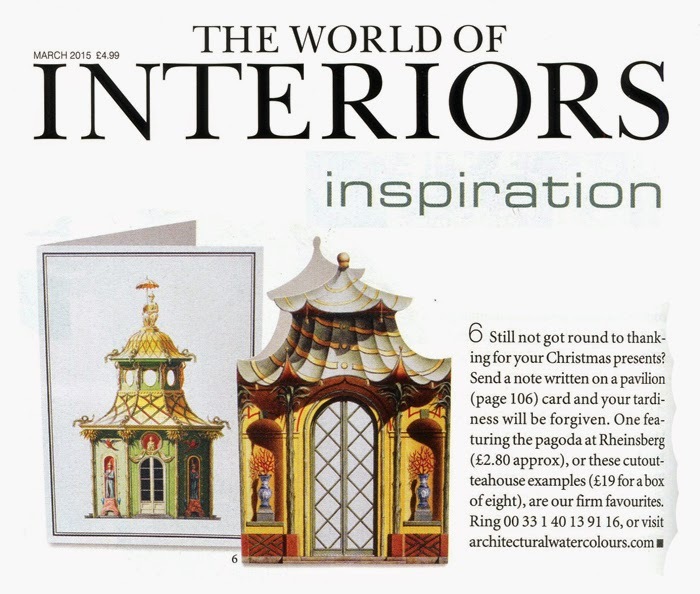 A far-too-long hiatus, but we are back to report that Traditional Home has featured our new desk boxes in their holiday issue. A small neoclassical ensemble for your desktop. 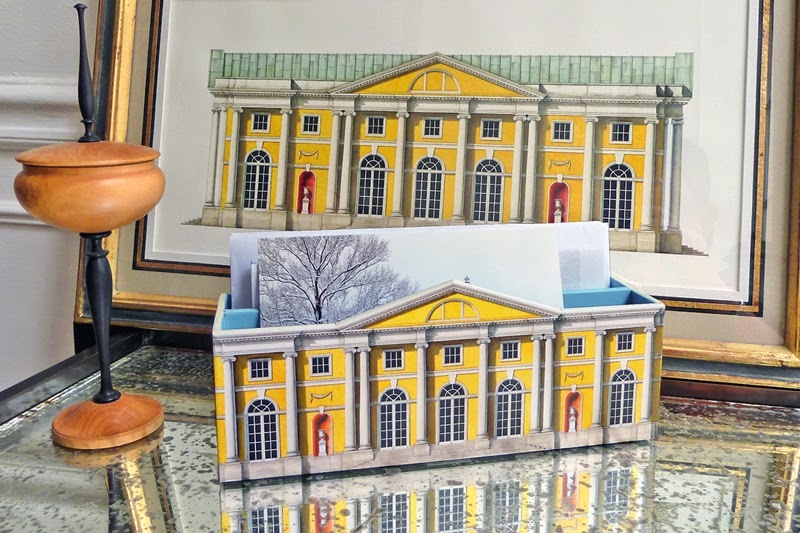 There are three boxes, each of them in architectural shapes: the Tower stacking box, the Orangerie pencil box and the Palace letter caddy (above, with the original watercolor). You can find them at our AW online shop. ©2009-2011 Edward Andrew Zega & Bernd H. Dams, including all written content and watercolor images. Simple theme. Powered by Blogger.